The Dow Jones Industrial Average (DJIA), also commonly referred to as “the Dow Jones” or simply “the Dow”, is one of the most popular and widely-recognized stock market indices. It measures the daily stock marketEquity Capital Market (ECM)The equity capital market consists of the primary and secondary market where stocks are traded. This market includes dealer and OTC markets. The equity capital market is a subset of the broader capital market, where financial institutions and companies interact to trade financial instruments and raise equity capital movements of 30 U.S. publicly-traded companiesFinanceCFI's Finance Articles are designed as self-study guides to learn important finance concepts online at your own pace. Browse hundreds of finance articles and guides to learn about the cost of capital, financial analysis, ratios, multiples, rates of return, profitability metics, and how to evaluate the overall listed on the NASDAQ or the New York Stock Exchange (NYSE). The 30 publicly-owned companies are considered leaders in the United States economy. 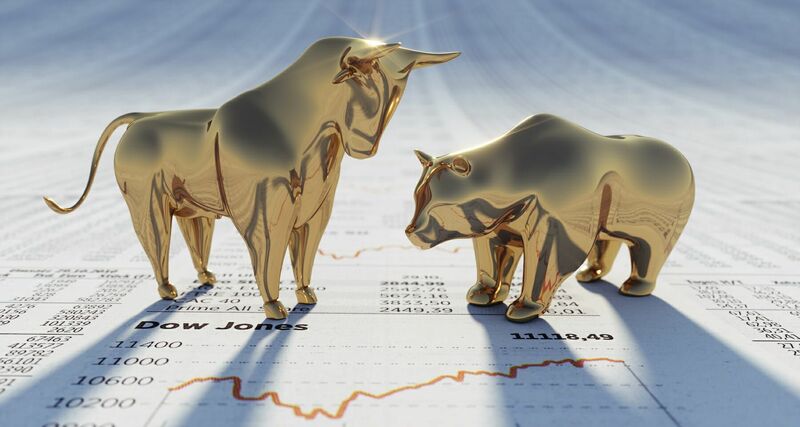 The DJIA is one of the stock indices created by Dow & Jones Company founder and Wall StreetWall StreetThere are two ways to look at what Wall Street is: it is both a geographical location and the financial mecca of the U.S. and, arguably, of the world. In terms of geography, Wall Street takes up eight blocks in Manhattan, New York, running east to west from Broadway to South Street in the heart of the financial district. Journal editor Charles Dow. When the DJIA launched in 1896, it was comprised of only 12 US companies that were mainly engaged in industrial activities. Over the years, the index changed along with the economy and its composition now include companies in other sectors such as technology, health, and retail. The index changes when one or more components experience financial distress that renders it a less important company in its sector when there is a significant shift in the economy that needs to be reflected in the composition. There are no specific rules for a company to be included in the 30 company stocks in the DJIA. However, for a company to appear in the DJIA, it must account for a significant portion of the economic activities in the US. The company must also be listed on the NASDAQ or NYSE and be among the major companies in the industrial sector. The DJIA was created to measure the movements of the leading companies in the United States engaged in industrial activities. It uses the price-weighted index, meaning that stocks with a higher share price carry a greater weight in the index than stocks with a low share price. Initially, the Dow calculated the averages by adding the stock prices of the 12 companies and dividing by 12. Later on, the calculation of the index was changed to reflect the relative importance of each component based on what percentage of the index’s total value it represents. For example, if an index were composed of three stocks with share prices of $13, $17 and $70, then the highest priced stock would represent 70% of the total value of all stocks in the index. Therefore, a 10% rise in the price of that stock would have a greater effect on the total value of the overall index than would a 10% increase in the price of the $10 stock. The DJIA was created in May 1896 by Charles Dow and his business associate Edward Jones. Two years earlier, before the formation of the DJIA, Charles Dow developed his first stock index, the Dow Jones Transportation Average (DJTA), which is the most recognized gauge of the United States transportation sector. The initial components of the DJIA were mainly industrial companies associated with gas, sugar, tobacco, railroads, and oil. The DJIA reflects the performance of 30 stocks of leading U.S. blue-chip companies. The index has undergone several changes over the years. In 1916, the DJIA components were updated from 12 stocks to 20 components. They were then raised to 30 stocks in 1928, which remains the rule today. In 1932, eight stocks were removed and replaced with new components that included Coca-Cola and Procter & Gamble Company. During the Great Depression of the 1930s and the Great Recession of 2007/2008, there were significant changes in the DJIA component stocks as some companies collapsed or merged. The DJIA has also been updated on the way that it is calculated. When it was first created, it was a simple arithmetic mean, where the price of the 12 stocks was simply divided by 12. Today it is divided by the Dow Divisor, that is adjusted in certain structural change events. Although the DJIA is one of the most important stock market activity trackers, there are some shortcomings associated with the index. With over 5,300 common stocks traded on the NASDAQ and NYSE, the DJIA is not the best indicator of how the overall market is performing since it includes only 30 stocks. A less than 1% representation of the total stock market may be misleading and may not portray the actual state of the economy. Also, the use of a price-weighted index as opposed to a market-weighted index Weighted Average Shares OutstandingWeighted average shares outstanding refers to the number of shares of a company calculated after adjusting for changes in the share capital over a reporting period. The number of weighted average shares outstanding is used in calculating metrics such as Earnings per Share (EPS) on a company's financial statementsgives an advantage to some DJIA components over others. For example, a component with a share price of $120 would exert more than four times influence on the DJIA than a company with a stock price of $30 even though the $30 stock price company may be more important to the economy. Therefore, professional fund managers use alternative indices like the S&P 500 Index to monitor the overall performance of the stock market. Standard & Poors (S&P)S&P - Standard and Poor'sStandard and Poor's (S&P) is a market leader in the provision of benchmarks and investible indices, as well as credit ratings for companies and countries, and other financial information services. Trading FloorTrading FloorA trading floor refers to a literal floor in a building where equity, fixed income, futures, options, commodities, or foreign exchange traders buy and sell securities. 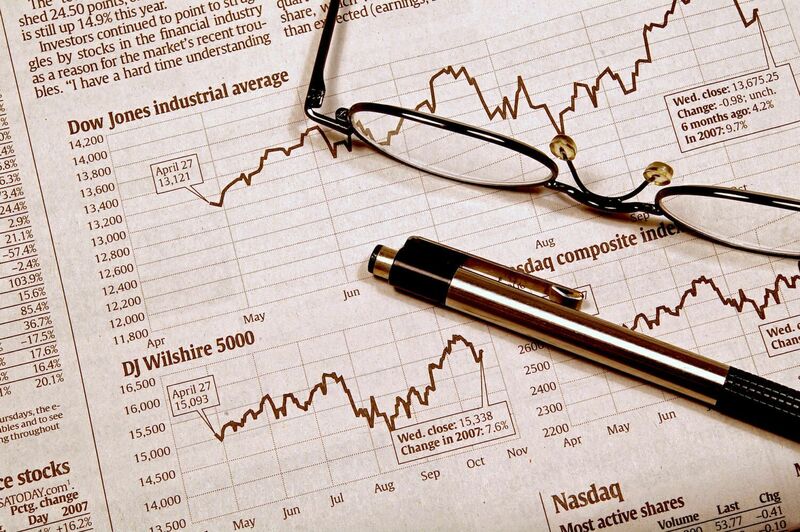 Traders buy and sell securities on behalf of clients, or on behalf of the financial firm which employs them. Three Best Stock Market SimulatorsThree Best Stock SimulatorsThe best stock simulators allow the user to practice and refine their investment techniques. Stock trading simulators allow trading fake cash with real time data, enabling traders to test out various trading strategies prior to risking any real money on them.